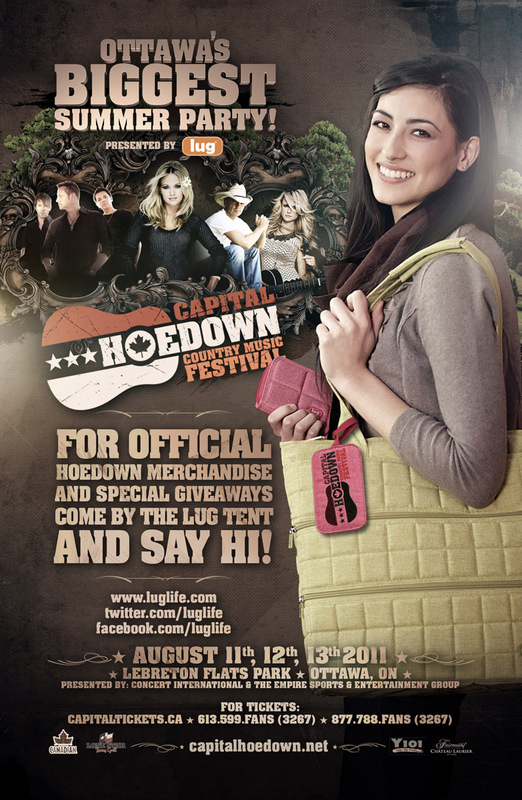 I am in Ottawa with the Lug crew for one of the biggest country music festivals, Capital Hoedown. The festival starts from today, August 11th, to 13th, Saturday. Click here to check out the details of the event. I am very stoked about this fete. If you are going to the event, please come by the Lug tent and say hello!!! We have fun and amazing merchandises at the tent! Today's song of the day is 'Driving with the Breaks On' by Canadian country trio, Doc Walker. They are going to be on the stage from 7:30p.m tonight! Enjoy!! !